Well the weather has been very spring like, but we are finally getting some gorgeous sunny days. They are HOT too! And, as an added bonus, they are occurring on the weekends! Glorious! 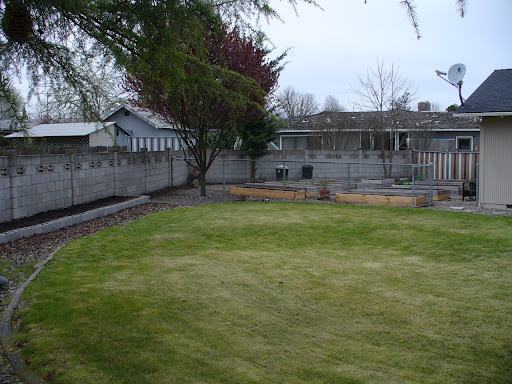 We have been utilizing the weather to get more spring work done on the garden. 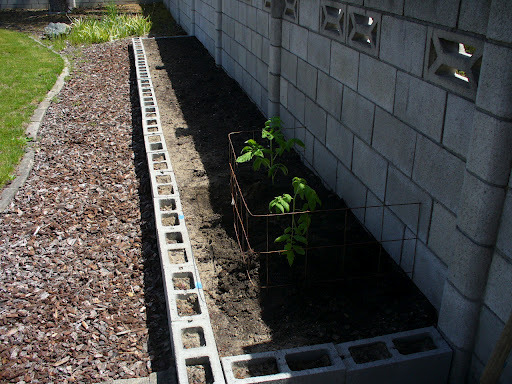 We created an entirely new garden box, but this time we used concrete block instead of wood. 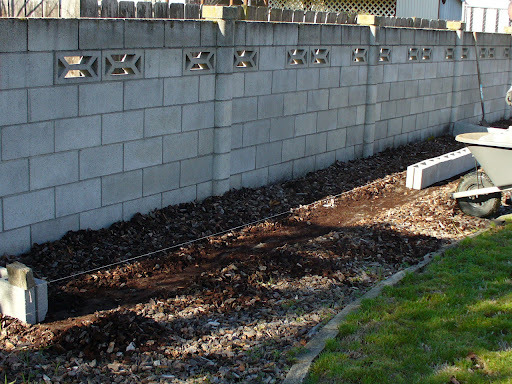 We placed it along our concrete fence and so we thought the block would blend better. We made it about 20 feet long and just over 2 feet wide. It is about 8 inches deep. This is going to be our tomato box this year. We have something ridiculous like 14 different tomato starts growing. (For comparison, last year I had FOUR tomato plants). I am a moron. Anyway, I love tomatoes and this year I got all different kinds including Black Krim, German Green, Mortgage Lifter, grape, cherry, roma and several others. Yes, I will be a tomato eating fool. We planted a Black Krim and German Green on Sunday. They were getting too big to keep indoors. We also finished off the other new wood boxes. 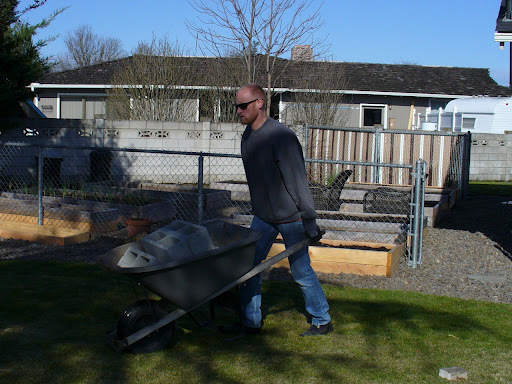 Chris spent a good portion of Saturday a few weeks ago hauling something like 4 yards of topsoil and compost to fill up all the boxes. 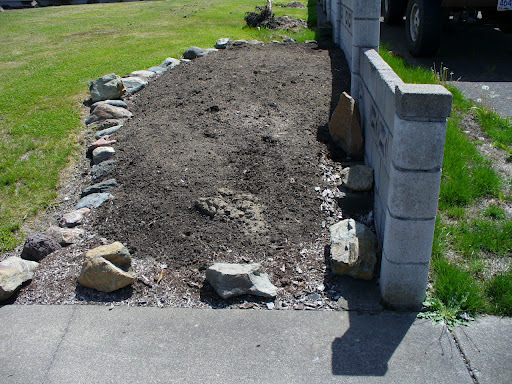 In addition, we decided that our ugly, empty front flower bed is going to be the new home for our zucchini and other squash that need lots of room to spread out. Let’s see, what else is going on out there…? 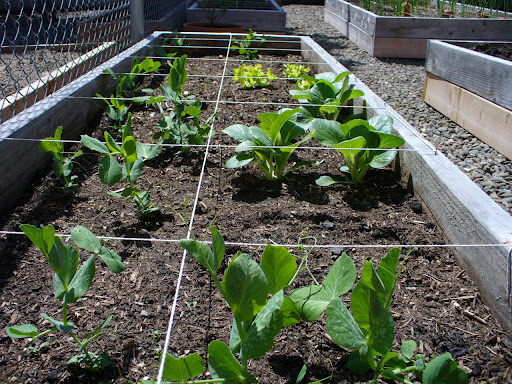 Oh, the peas and bok choy are looking great! 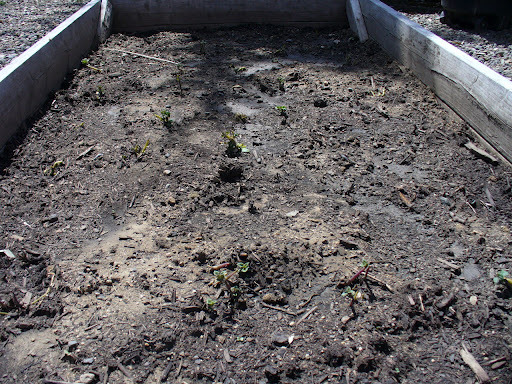 We have radishes that are ready to eat and will be planting more in the next week. My spinach is ridiculous and the lettuce I planted last fall is doing great! The garlic is still going strong. Bok Choy, peas and lettuce. We planted potatoes last weekend. We have four or five different kinds this year. Blue, red, white, russet…maybe that’s it. 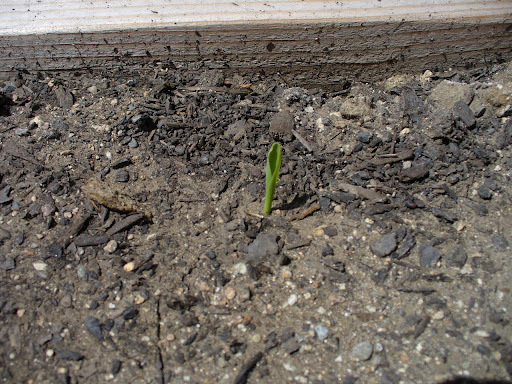 We also got our corn planted last weekend and have little teeny tiny corn sprouts popping up out of the dirt. So cute! Over the next 2-3 weeks we will be planting in earnest. 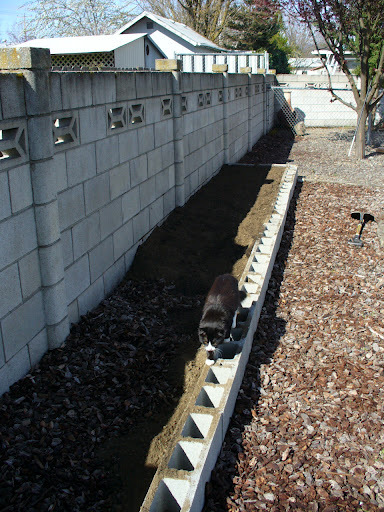 Some of our more wimpy plants like tomatoes and peppers have to wait until mid May, but I’m ready to start planting a few other things, like carrots, cucumbers and other stuff. Oh yah, my celery is growing, too. I’m not sure if it will get too hot for it and it will stall out, but in the meantime it is cool to see it growing just from the root stalk I cut off from the grocery store! Other stuff going on: blueberries are flowering, sunflower seeds are in the dirt for pretty sunflowers, we have a few onions popping up but I’m not sure if they are going to flourish or what. If I can find one, I’m going to plant an eggplant this year. So, that is a quick (or not) rundown of what is happening in le gardin de Beebe. More updates to follow as we get more stuff planted and then start harvesting! Woohoo! 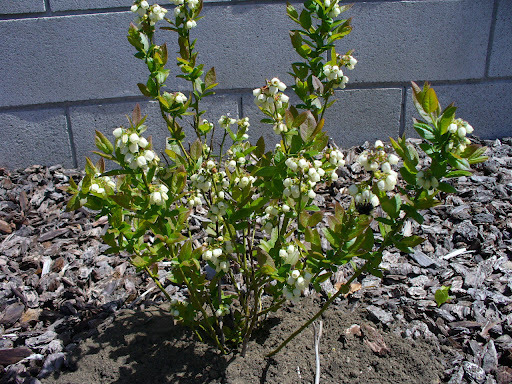 This entry was posted on May 2, 2012 by Corrie Beebe in garden.